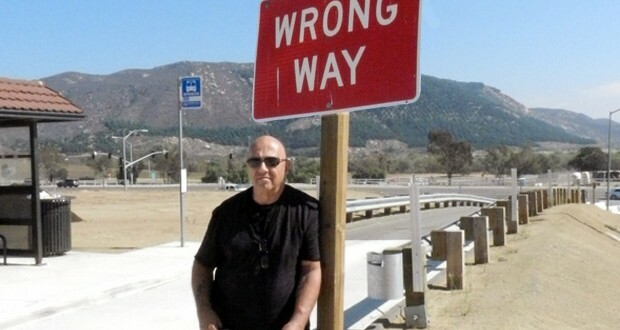 Tony Pallotto has spent the last 20 years trying to divert teens from heading "the wrong way" in life. He says his Oceanside-based ministry, TAPS, has helped nearly 20,000 families during that time. Tony Pallotto knew that his father hated it when they were late for something. Time mattered, even when he was plastered on a barstool. He stayed out of sight until he knew his father was fast asleep. That’s what you do when violence hobbles a household. “Another time, my brother came home late,” Pallotto, now 65, said. “I was in the bedroom. I heard the screen door in the kitchen creak open, then I heard smack! He heard a verbal tirade unleashed on his sibling. Life in the Pallotto home wasn’t always a combat zone. He knew no limits, often bruising and disfiguring his mother. Police officers weren’t immune from his rage. As kids are apt to do, Pallotto followed his father’s footsteps, adding pot and LSD to his repertoire. Pallotto’s story is now chronicled in “Sidetracked: A Story of Family Wreckage and Radical Redemption,” written by Brian Lamay. The book is available on Amazon. He found his way back during a three-day anger-infested recovery from a weekend cocaine binge. After rallying from a half-dead state, Pallotto tore apart his bedroom while threatening to kill anyone who came near him. “I squandered the last shred of Christian dignity I had by uttering the Lord’s name in vain,” Pallotto said, adding that God “even used the profaning of His holy name for His glory. The realization that I’d let that slip away brought a tidal wave of conviction like I’d never known. It brought me to the end of myself. Months later he lost his high-paying advertising job. “God took everything away—my job, my house—but He gave me a ministry,” he said. From the ruin, Pallotto launched Teen Adolescent Placement Services, a full-time ministry that offers a hotline, consultation, referrals, group home placement, and transport of teens who are troubled or a danger to themselves or others. Since its origins in 1995, TAPS has helped nearly 20,000 families, placing more than 3,000 youth and transporting more than 1,300 to various programs, including ones in Northern California and Missouri. Despite the ministry’s success, Pallotto could not save his own son, who died from a heroin overdose in 2001. 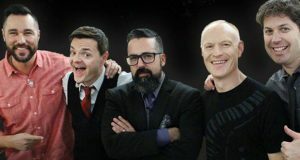 Mark, the middle of three boys, fought addiction much of his life, though he kicked it for a time through Victory Outreach. He was running a successful street ministry in San Antonio when he relapsed after a break-up. Pallotto has also lost two brothers to heroin, one through AIDS contracted from a dirty needle.